Kevin Masterson was admitted to practice before the Florida Bar in 1991 after graduating from the National Law Center at The George Washington University in Washington D.C. He also earned a Masters of Business Administration from GWU in 1991. He was admitted to the Alabama State Bar in 1992. Since 1991, Mr. Masterson has practiced extensively in State and Federal courts throughout Alabama and Florida. The primary focus of his practice has been the representation of insurance companies and their insureds in the areas of insurance coverage, bad faith, premises liability, construction law, automobile liability, general tort liability, and employment and products liability. Mr. Masterson also represents numerous businesses through his corporate and commercial litigation practice. He is also defense counsel for the Catholic Archdiocese of Mobile. Mr. Masterson is dedicated to the enrichment of the lives of our local youth through organized sports. He has served on the Dixie Youth Baseball Board of Directors and has served as a youth baseball coach since 1997. He has served on the Funding Committee of the Alabama-Mississippi High School All Star Football Game and is past president of the Bayside Academy Athletic Booster Club. Mr. Masterson is also a former Board Member and Vice President of the University of Alabama National Alumni Association. Mr. Masterson grew up on the Eastern Shore of Mobile Bay. After a ten year hiatus, Mr. Masterson returned to the Eastern Shore in 1993 where he continues to reside with Maria, his wife of 28 years, and their three sons. In addition to supporting his sons and their athletic teams, he is an avid hunter, fisherman and outdoorsman. 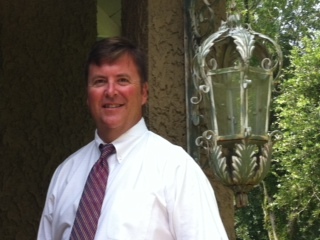 Mr. Masterson is a 1982 graduate of McGill-Toolen Catholic High School. He attended the University of Alabama from 1982-1986 where he earned a Bachelor’s degree in Corporate Finance and Investment Management. During this time he was active in student and Greek affairs, intramural sports and was the president of his fraternity, Pi Kappa Phi. He attended The George Washington University from 1988-1991 where he earned both his Juris Doctor and Masters of Business Administration in 1991.